Home»News»General News»Why is Gillingham given cold shoulder by TV weather forecasts? Why is Gillingham given cold shoulder by TV weather forecasts? Why is Gillingham never mentioned? It has become as predictable as a soggy British summer. Mere is there on occasions, so too is Sturminster Newton, Sherborne frequently gets a look in, and once in a while Shaftesbury gets a mention as well. But every night viewers in Gillingham scan the map on BBC Points West’s nightly weather forecast in vain for a glimpse of their town’s name. It simply doesn’t appear, even though it is comfortably the largest town in the area, has frequently been described as one of the fastest-growing places in the South West, has a railway station, an acclaimed secondary school and even a Waitrose. And while it is true that technically BBC Points West does not cover Dorset, its weather maps routinely include other towns in the county. Just not Gillingham. 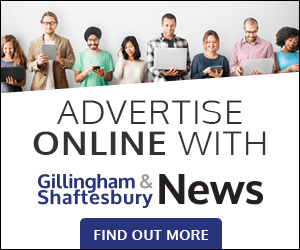 When Gillingham News approached BBC Points West for an explanation, a spokesperson denied that the town was being singled out and said too much significance should not be attached to which names appear. Perhaps in time for that that barbecue summer we are always being promised? Local elections - check your poll cards!